Looking for a new piece to place in your home or business? 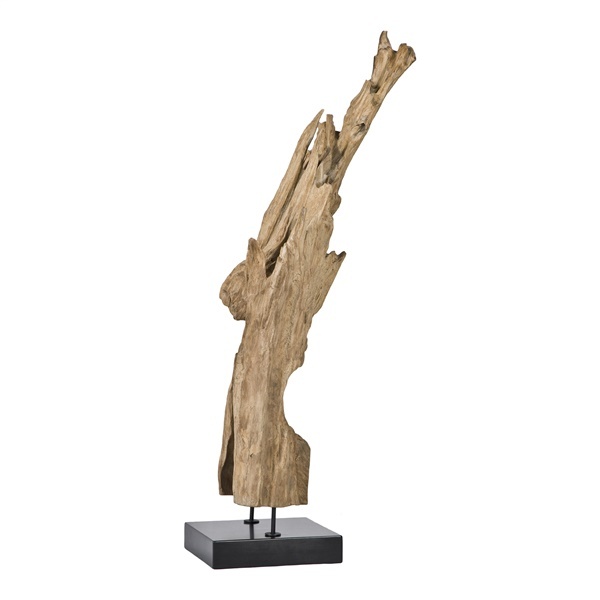 This uniquely beautiful Natural Teak Wood Sculpture is a great choice. Expertly made from natural teak and lovely black marble, this creates an organic look that is texturally and visually appealing. Some assembly is required with the hardware included. Expert construction of natural teak wood and sleek black marble. Unique organic style for the contemporary area or eclectic aesthetic. Easy assemble with included hardware.